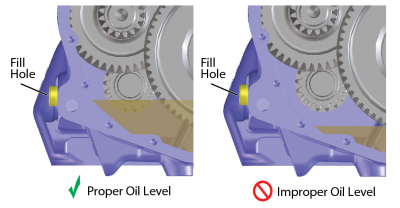 A good Preventive Maintenance (PM) program for your Eeaton Fuller transmission can avoid breakdowns, or reduce the cost or repairs. Often, transmission problems can be traced directly to poor maintenance. Following is an inspection schedule that may be helpful in setting up a preventive maintenance program. This schedule is not all-inclusive as inspection intervals will vary depending upon operating conditions. Bleed air tanks to remove water or oil. 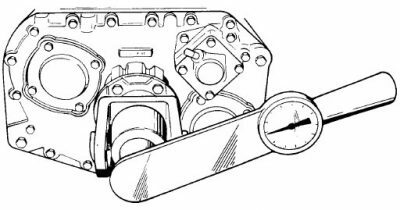 Check around bearing covers, PTO covers and other machined surfaces. 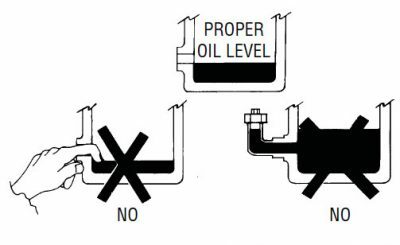 Also check for oil leakage on the ground before starting truck in the morning. Note: Before checking the oil level, engine must be idling & transmission in neutral for at least 2 minutes. Lubricant temperature must be between 60 °F & 120 °F (15.5 °C and 48.8 °C). Check linkage U-joints for wear. Check and clean or replace air filter element. of the universal joint companion flange. Check for proper torque, 450 to 500 lbs. ft. on twin countershaft models. Note: Inspection should be made according to the manufacturer’s specifications. 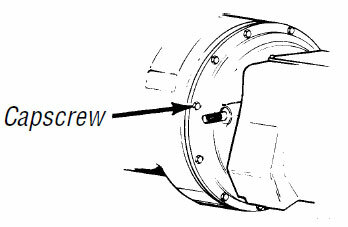 Check clutch disc faces for wear. Check dampening action of clutch driven plate. Remove hand hole cover and check axial and radial clearance in release bearing. Check relative position of thrust surface of release bearing with thrust sleeve on push type clutches. *Initial fill on new units. See transmission lubrication page.